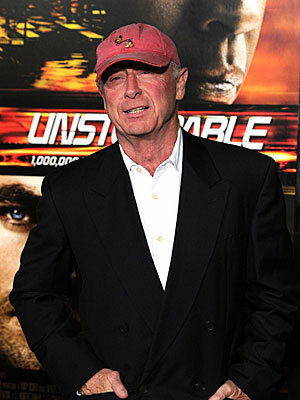 Action Director Tony Scott dies! On a sad note , ealrier today it has been reported that Hollywood Director and Producer Tony Scott committed suicide yestreday by jumping of a bridge in Los Angeles ,California. Responsible for many great films ,the British Director who was also the younger brother of Ridley Scott had directed some of the top action stars over the past three decades . Many will remeber him for films like Top Gun with Tom Cruise ,the second in the Beverly Hills Cop series and he was also the man who in partnership with his brother produced the film version of hit televsion series of the 80's ,The A Team. Our sister site will be doing a retrospective of Tony Scott and his films in the coming week or so , people always look to find the sinister answers about peoples death,whatever the reason ,we may never know. But at K.I.T.G. and Shoot'em in the Head where about celebrating what joy people brought to others and that's precisely what where going to do . Director Tony Scott - R.I.P.